I know I’m a little slow on the blog uptake here, but I’ve been sick so I’ve got an excuse. I’m just kinda amazed so far. It’s actually been selling, which is wonderful. Totally warms my heart that people want to read my work. Tijuana Nights releases on 27th July as well – which is the big one. Boy – I can’t wait till that story is out in the world for all to see. And now I really need to get cracking on Venice Nights for a proposed December release… if I can make that happen. All very exciting! 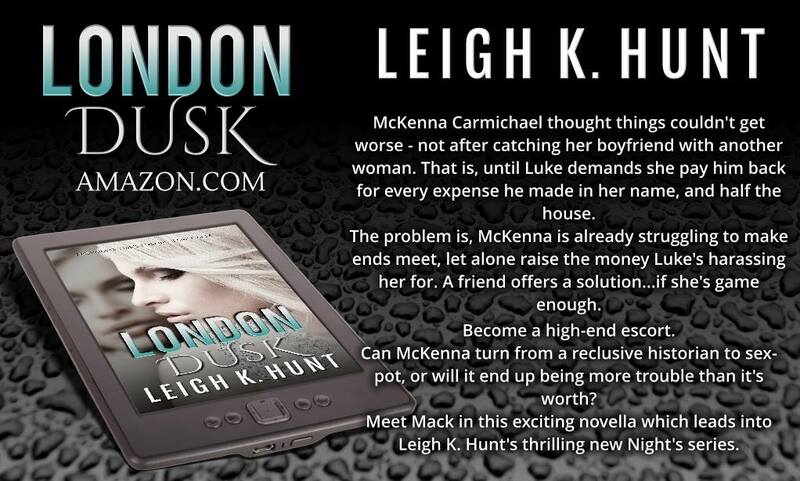 Congrats and happy release day Leigh! Long time no hear hunny! I hope you’re well, and your writing is flourishing. Previous ArticleLONDON DUSK – Releasing! Next ArticleTIJUANA NIGHTS IS RELEASED!